No golfing ability? No problem! Topgolf is a game that anyone can play (and win). Score points by hitting micro-chipped golf balls at giant dartboard-like targets on an outfield. The closer you get your ball to the centre or ‘bullseye’ and the further the distance, the more points earned. The fun and games don’t stop there; you can even indulge in delicious food and drinks brought to you while you play. What could be better? 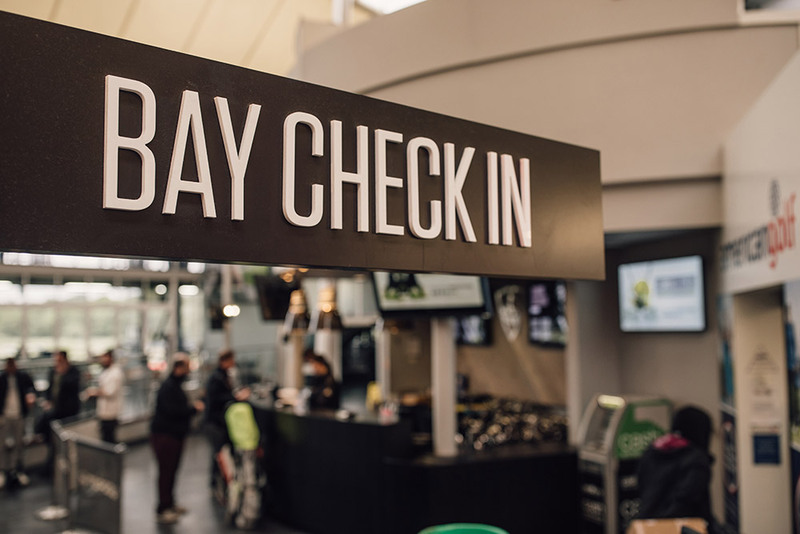 Step 1 - Check-in – Most people just turn up, but you can Book a Bay if you want to; if you have a larger group, or it's a special occasion, you may want to speak to our events team before you visit. Otherwise, go to the bay check-in desk, which is straight in front of you when you walk in the front door. These guys will sort out a bay for you and your group of up to 6, or take your mobile number and put you on a wait list if all the bays are already in use. You can keep track of your place in the queue via a link sent to you by text. If it’s your first time, an associate will walk you through the whole process. 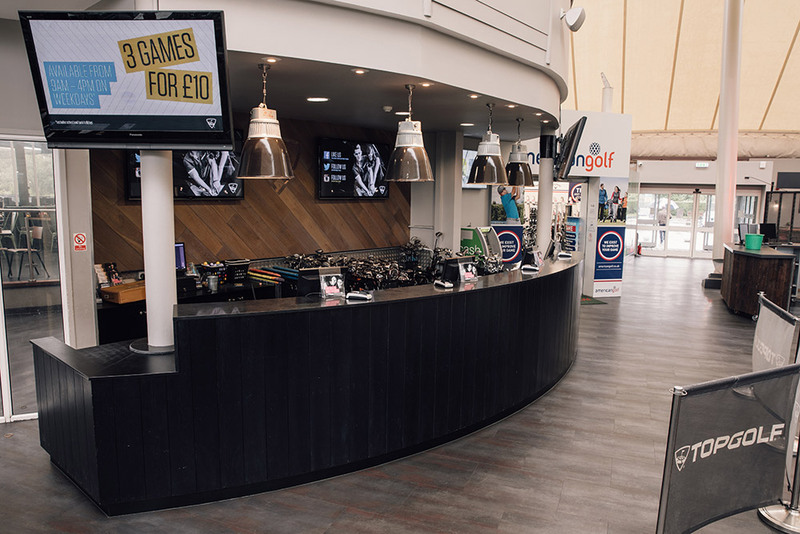 Step 2 - Get your games – Register for a playing card & load it with games at the guest services desk. Find out all you need to know about pricing of playing cards and games, as well as some of our great value daytime offers. Both male and female right-handed clubs will be in your bay, so there’s no need to pick up clubs here unless you’re playing with juniors, or you need left handed clubs. Step 3 - Get your balls – Scan your playing card in one of our ball dispensers and hang a basket on the hooks. Choose how many games you’d like to play, and 20 balls per game will be dropped into your basket; but these aren’t just any balls. Each ball is now uniquely assigned to your name, so make sure you keep them separate to others in your group. A good idea is to drop your playing card into your basket so you don’t get mixed up. Step 4 - Time to play – Find the bay allocated to you, scan your first ball through the reader and your name will appear on the screen with your first ball highlighted. Now is your chance to choose from our selection of game types using the menu at the bottom of the screen. You’re now ready to play! You and the other members of your group can play in any order, so you could each take turns to hit a ball, or hit your balls in groups of anything from 2 to all 20 at once. Please remember to stay behind the red line when you aren't playing. 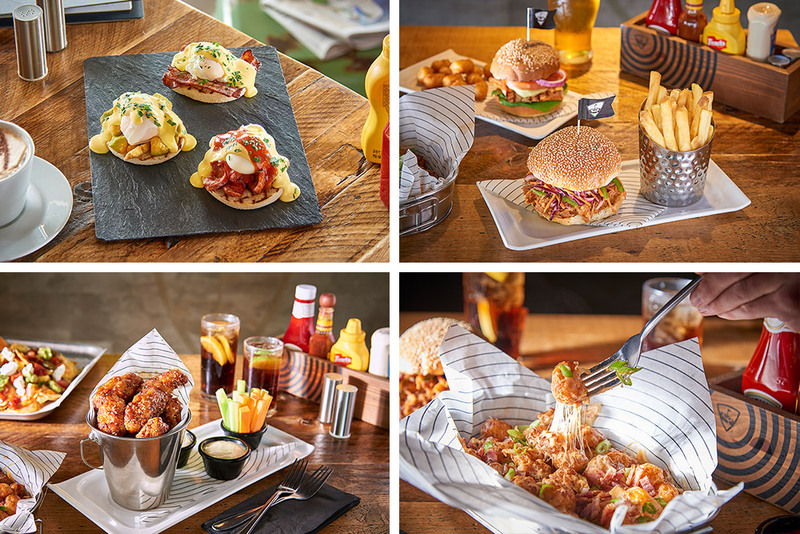 Step 5 - Order your food & drinks - Don't forget to order your food and drinks from our great menu. A bayhost will take your order and bring everything to your bay, so there's no need to interrupt your game. Step 6 - Check out your scores - Want to know how well you scored? Register your account online when you get home to see score history and get the bragging rights you deserve. In our signature game, players score points by hitting balls (assigned using our microchip technology) into any target. The more accurate your shot and the further the distance, the more points you earn. Based on snooker, TopBreak's objective is to hit the red target followed by any other coloured target. Just like snooker, the higher value colours, the more points you’re awarded. Similar to TopChip, this game challenges you to hit the targets at four consecutive distances (five shots each). The starting target you choose (red, yellow, green or brown) determines the game’s level of difficulty. Member Login Gift Cards WHAT IS TOPGOLF?